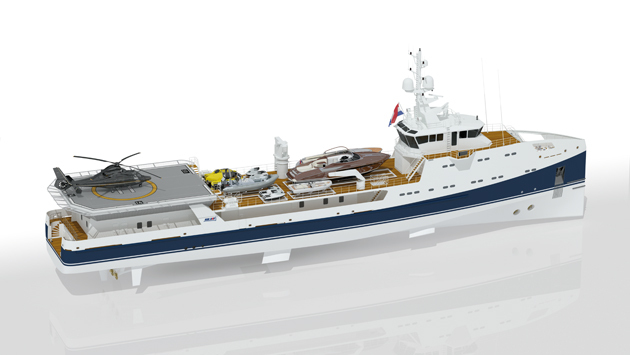 The first 69-metre superyacht support vessel featuring a fully enclosed hangar beneath the helideck for full heli operations has been sold by Damen and Amels. The sale of a new 69-metre is the latest step in the development of the yacht support range created by Damen in co-operation with Amels – the fifth superyacht support vessel the yards have built. 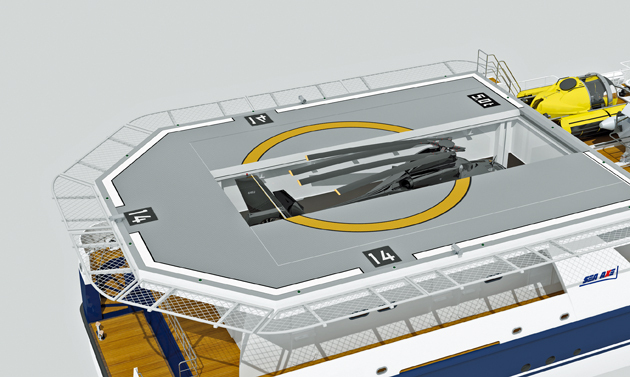 The Sea Axe 6911 features a fully enclosed hangar beneath the LY3/MCA-certified helideck, and is in build at Damen Shipyards for delivery in June next year. The new project builds on experience gained from previous Sea Axe deliveries such as Garçon, as well as input from the client. “The owner’s team came to us with a lot of client-specific requirements. They put a lot of thought into how the owner would like to operate the vessel in combination with the mother yacht,” says Damen product director Mark Vermeulen. 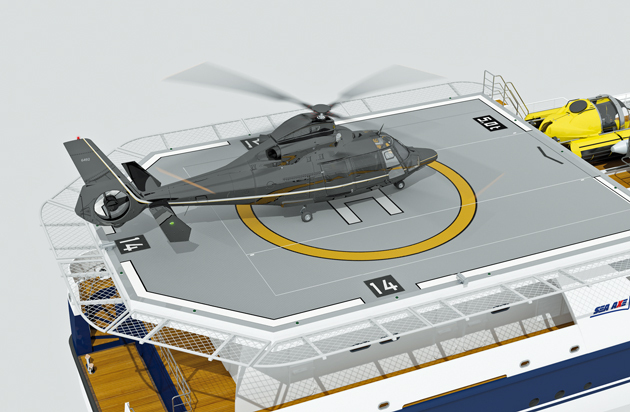 As well as the hangar, the vessel features a dedicated helicopter workshop below deck and a dive centre, plus plenty of space for tenders and toys. She can accommodate 22 crew and staff, and has a top speed of 20 knots. Based on Damen’s high-speed Sea Axe offshore supply vessels, the yacht support range has been developed for superyacht owners who want to go cruising with more toys, tenders, personnel, provisions, specialist gear and – of course – a helicopter. The concept works in any cruising ground, but particularly suits regions without a developed infrastructure.